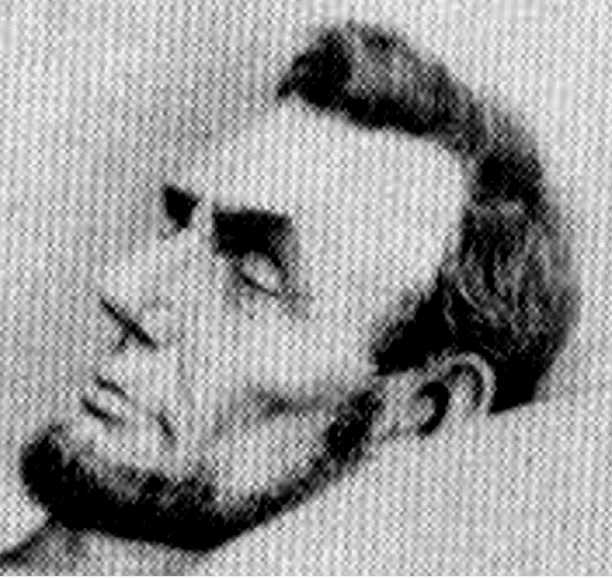 Stairway publishes a postcard photo of Lincoln’s face in repose, the day after his assassination, while he was being readied for burial. Allegedly photographed by famed Civil War artist, photographer, and historian, John B. Bachelder, the photo has never made the canon of official Lincoln photographs because of doubts about its authenticity. Nonetheless, and even with the graininess of the image, it is a stunningly human and famously sad picture.